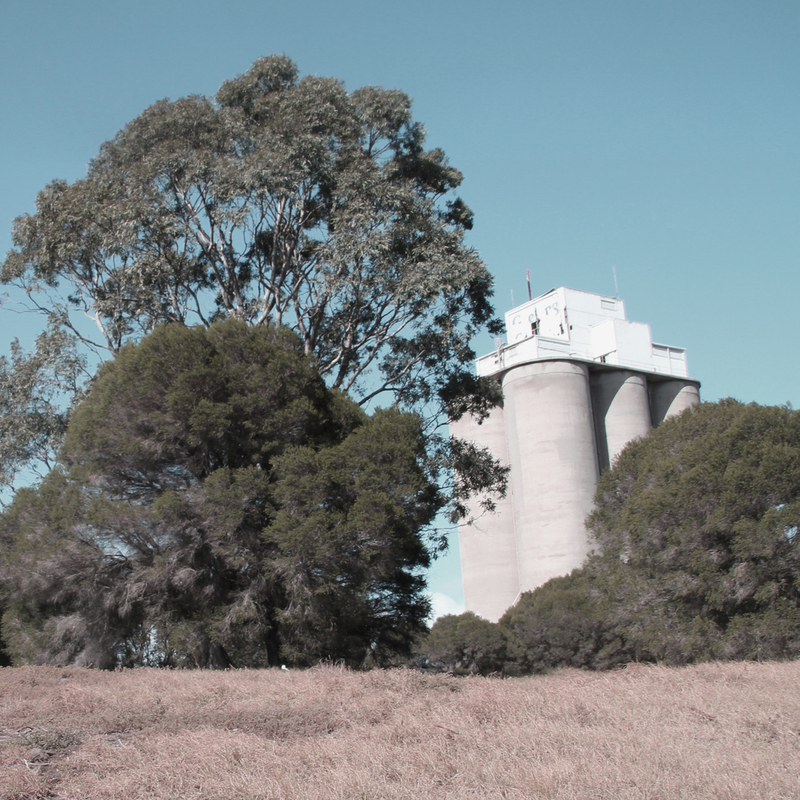 The site is located within an abandoned cement factory in Fyansford, Geelong, Australia. 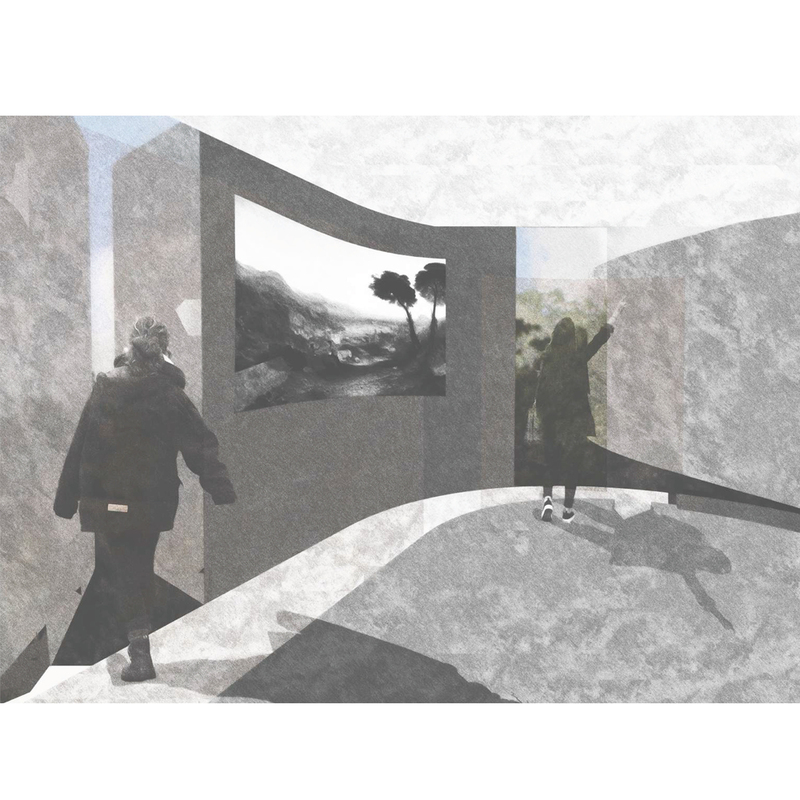 The early design studies involved tracing a 'narrative' sequence along the site's boundaries. The existing site contained a huge diversity of vegetation and a sloping topography, which allowed the silos to be viewed from different vantage points. A strong suburban edge fronted the site. The site had a large sloping terrain- from a suburban towards a rural condition. Key edge conditions were thoroughly researched and analysed before a design was made. 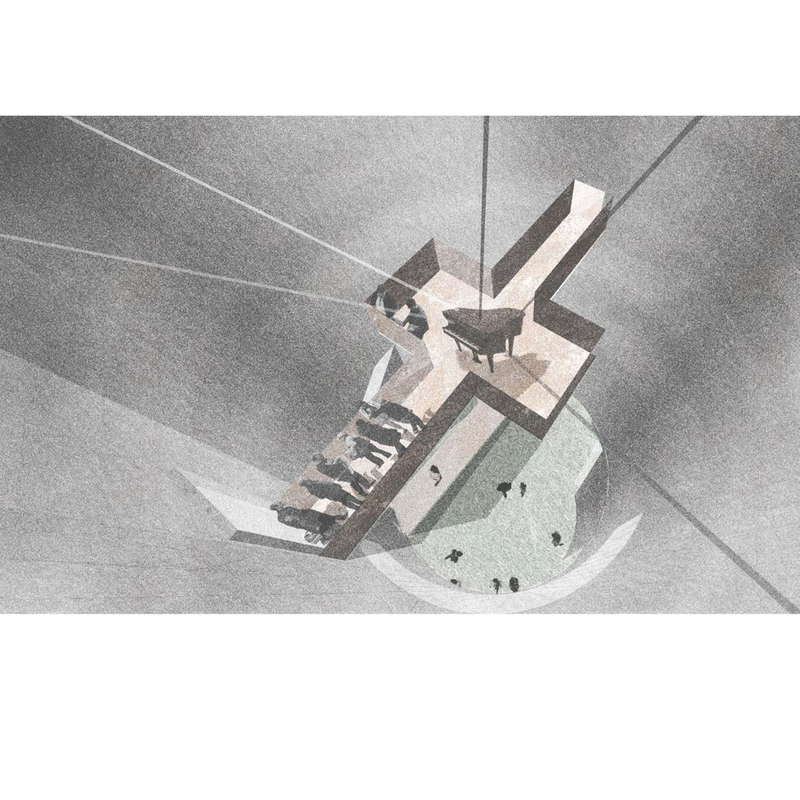 Edge conditions were identified and examined- the masterplan aimed at responding to each different context. A running track tied the masterplan together, through creating a narrative of movement. The perimeter running track provides a different range of experiences as one moves along it. The main building of the site, the art gallery, acted as a microcosm of the masterplan. Three major galleries provide different experiential qualities which related to the specificity of the site. The section demonstrates the qualities of each gallery space. Entry into the gallery was defined along an inviting ramp. One passes over the public thoroughfare before entering the gallery proper. The user is welcomed into the first gallery which mantains the existing form of the silos. The second gallery opens up towards the landscape and embraces the surrounding context. The housing component of the masterplan responded to the suburban condition, through providing a public space. 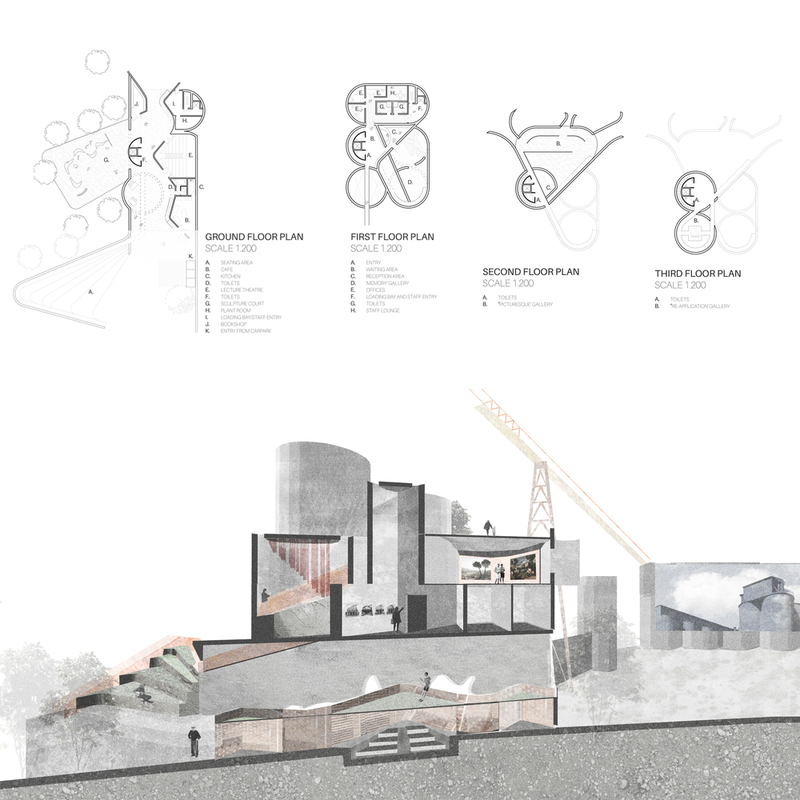 The brief called for a masterplan of an old abandoned cement factory located in Fyansford, Geelong, Australia. Within this masterplan, an art gallery, residential complex, workshops and a running track were to be implemented. 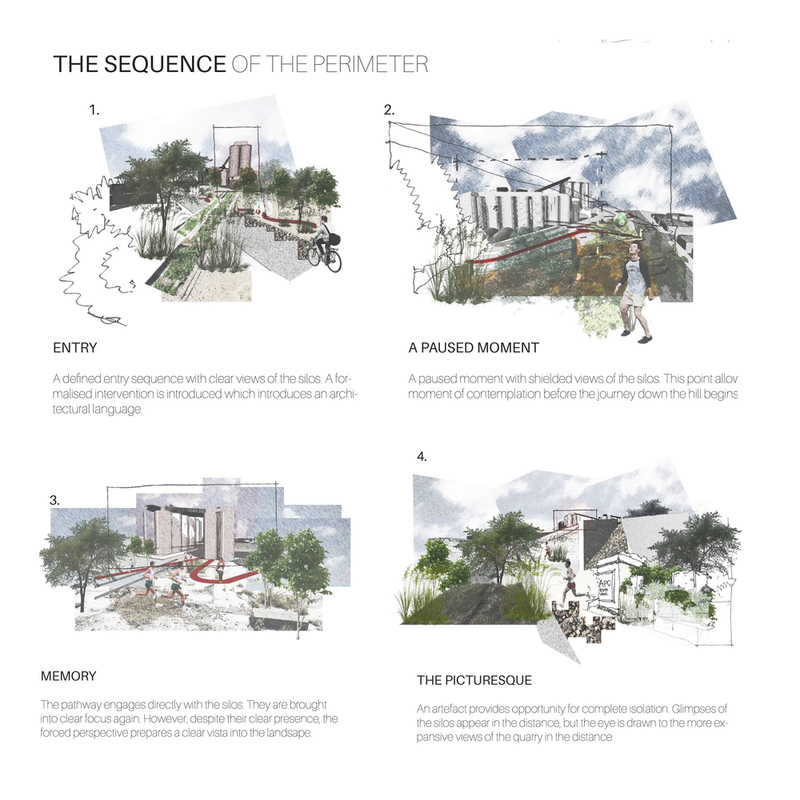 The proposal aims to engage with the site directly: the masterplan enables the user to experience the site from many vantages: whether it be from above the perimeter, from within the silos, or from under the ground. Interventions are designed to mould within the existing terrain through enhancing qualities which were already apparent. Each segment of the brief offers a different experience of place, with each of them responding differently to their location context.